New Delhi: After a young couple was harassed in the Kolkata Metro for “standing too close”, the police has registered a suo motu FIR to probe the incident following mass protests and a petition that were triggered by the incident. The couple was pushed off the metro train they were in and then thrashed by a mob on Monday night after an argument with a senior citizen who bumped into them while boarding the train. Other passengers also joined the fight and started to heckle the crowd and the couple was told to “get a room” and “go to a club”. The male was kicked and punched, and according to a passenger who clicked photographs of the incident on his mobile phone, the woman was also not spared. 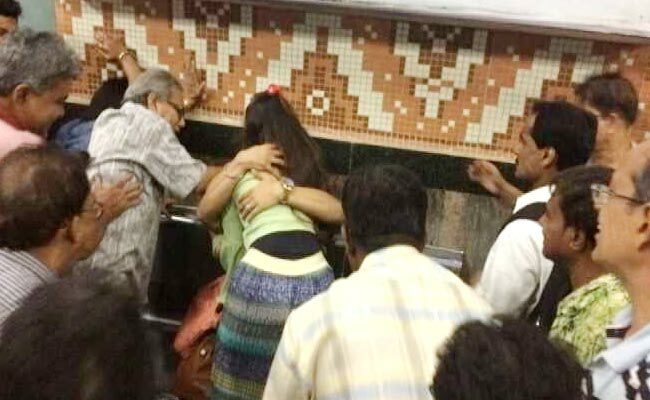 This phenomenon is also raising the question whether Delhi Metro may be in the same place, because in large numbers of young couples also travels in the metro and it is common for them to hug each other at the stations or in metro trains. In such a situation, it is also important to worry about their safety. However, officials related to the security of the Delhi Metro say that the possibility of such an incident in Delhi is very rare. Raghubir Lal, inspector of CISF, who took charge of the Metro safety, said that the first thing is that the local police have the responsibility of security in the Kolkata Metro, while the security in Delhi Metro is under the responsibility of CISF, which has made all arrangements for the safety of women and other metro passengers. Delhi’s atmosphere is quite different and the thinking of the people here is not conservative. Also, passenger traveling in the Delhi Metro are also very disciplined. DCP Deepak Gauri of Delhi Metro Rail Police, also terming the Kolkata incident as a shocking event, said that such incidents in Delhi are not expected. Here is a strict security arrangement inside the Metro system. Here, large number of young students travel in the metro. If there is an incident such as tinkering or beatings take palace, then police takes strict action in all such cases. In the context of the incident in Kolkata metro, he said that law enforcement agencies should take strict action in such incidents. DMRC spokesperson also says that there are many security arrangements in the Delhi metro. Security of passengers is priority of DMRC, CISF and Metro Police. No compromise can be made with safety of metro commuters.